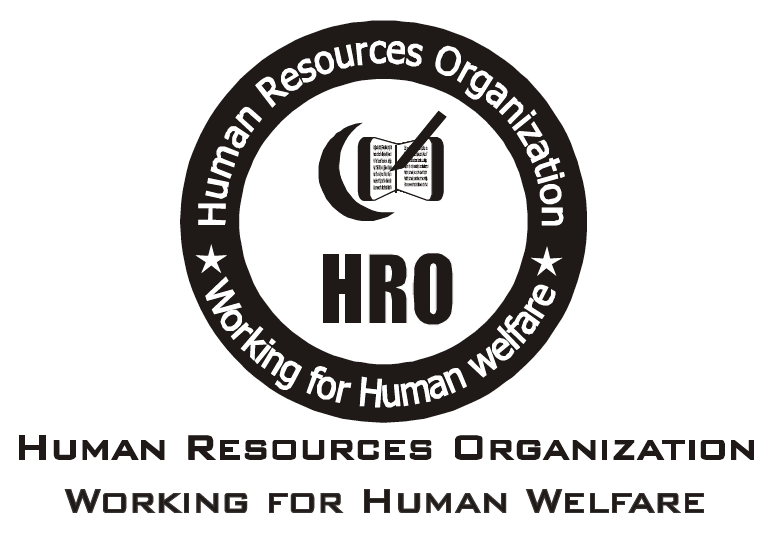 Human Resources Organization (HRO) is a non-profit, non-governmental, and secular registered organization formed and led by young and professional well-educated activists of KPK (Pakistan) in 2008. The motto of the organization is “Working for Human Welfare” because the founders and pioneers of the organization have passion to support humanity and take some serious steps for the welfare of their community. HRO started its work with human empowerment and began small community-based educational institutes within private schools where students were getting free computer and language courses. They also began offering scholarships for poor students with partnerships of different Education Institutes in the Free Education Program. HRO worked on giving skill-bases training like cellphone repair and beautician courses for poor students, child labors, and street beggars so as to improve their life style. Today, HRO is working as a leader for other small-level organizations. The organization has also started work on some more initiatives such as advocacy and capacity building for SRHR and HIV/AIDS. HRO is more actively working on awareness campaigns against drugs and for harm reduction through different media and networks with strong support from younger generations. HRO involve youth in policy making dialogues and giving them more support to raise their voices for their rights. Vision: Human Resources Organization envision a healthy, educated, social and peaceful world where people live with love, harmony, and have equal human rights. Mission: The mission of HRO is to promote community for a social change by providing quality free education and empowering people, especially younger people, for future challenges. The organization plans to raise the capacity of people and help them advocate for their rights. Promote Peace by working for capacity building and conflict resolution.